I am a People Greeter at the Keyser Walmart store. Please help save my job. My name is Marcus Romer. 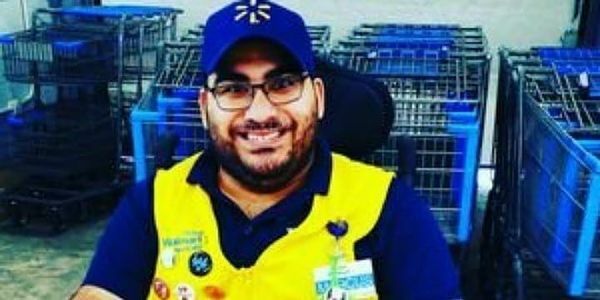 I am 27 years old, and I have worked at the Keyser Walmart store as a people greeter for the last 2 years. I love what I do. I see my customers every day and I love them all. The kids sometimes give me hugs, and sometimes I get high fives. The customers come up and talk to me, say hello to me and ask me how I'm doing. I tell the customer or the kids or their family to have a great day or have a great evening. Sometimes I have products to start a conversation. Sometimes I give stickers to the kids. I have learned a lot in the last two years I have worked at Walmart. I have had a lot of opportunities come my way. If they get rid of the greeters, I'm going to be really sad. If they get rid of me or terminate me or fire me, I will be devastated because I love my job. I love my co-workers so much. They mean the whole world to me. My job means a lot to me, and I know my customers will not be happy if I'm not there. Please sign this petition to help me keep my job.